Krosmaster in 2018 - FORUM KROSMASTER : Forum dedicated to discussions about Krosmaster. Share all your opinions, ideas and tactical tips! 2018 is here and it's time to let you know what's in store for the coming year and what's going to change. 2017 was a very rewarding year, one that made us aware of some of your questions that we would like to answer. We would like to partially modify the game's image to give it a different dimension. Several types of players with different expectations play Krosmaster, and we think it's important to differentiate between them. We have competition players, who play mainly to perform in the various tournaments, and players for whom the game is above all about fun and relaxation. The later tend to play in stores, or even national championships, but not more than that. For us, it is important that these two groups of players can both be happy with Krosmaster. It's no fun for a "leisure" player to lose every shop tournament to "competition" players who're there to win the most sought-after prizes; and it's no fun for competition players to go up against players who don't know the rules very well in large tournaments. I'm therefore going to divide the message into two separate parties (well, three, including an "everybody" section), to explain the main changes in Krosmaster for both groups. Competitive play is an important part of Krosmaster. Eight countries are currently involved in competition (Italy, Spain, Germany, Russia, Brazil, the USA, China, and France). We currently have two tournament levels in each country: the QTs (qualifying tournaments) and the national championship. These tournaments allow players to earn points to qualify for the world championship, which is open to the 48 players from around the world who have earned the most points during the season. We like this system, but think that it is not very representative of Krosmaster worldwide, notably because it is much easier for Europeans to earn points than it is for players in other countries as travel distances are longer. We think that it's important for all countries to be represented during the world championships because this allows all participants to discover new ways of understanding the game and is usually an incredible interpersonal adventure. Thus, we've decided that for the 2018/2019 season, the top three players from each national championship will be qualified. This system will not be put in place during the current season because many QTs have already been played, and it wouldn't be fair to change the system at this stage. Thus, 24 players will be qualified directly, from eight different countries, and 24 spots will be up for grabs through the points system. In addition, many players have complained that traveling to world championships is expensive. We are therefore going to allow players to win transportation vouchers in the national championships and QTs. These vouchers will be for a certain amount that we will contribute to pay for travel costs if the players who win them qualify for the world championship or wish to travel to different "open" tournaments that we talk about below. Indeed, a terminological change will also be made for the 2018/2019 season: National championships will no longer exist, and will be replaced by "open" tournaments. We think that this is logical given that participation will no longer have enrollment restrictions based on nationality, as was still sometimes the case. Here, we're going to talk about the shop tournament dynamic. Shop tournaments are generally the glue holding the game together, and they need to be a positive experience for all participants. Most players take their first steps and get their first impression of the community here. From that standpoint, we know that we have an awesome community: The more experienced players help newcomers, explaining what to do and avoid, and we could never thank you enough. However, a problem remains: The pyramid structure of the prizes favors performance, and therefore teams for whom having fun is not the main goal. We've decided that the new prize packages during shop tournaments will not discriminate winnings based on the player's ranking at the end of the tournament. That will mean two things in the future: kits that have limited content (only two different elements at most to be won in two different tournaments) and in exchange new kits more often so that things don't get boring. Elements of Krosmaster that we haven't yet discussed have issues: online, the tournament and leaderboard software, and the official site. They make up many elements that need improvements because they are an important support for the game. Therefore, we are currently working on changes to the online game and shifting it to different structure that will give it back the "board game" aspect it had in the 2D version. The goal is to get back to its role of supporting the physical game by being immediately up-to-date on future product releases and allowing training in more realistic conditions. The current version of the game will go away. But, don't worry! 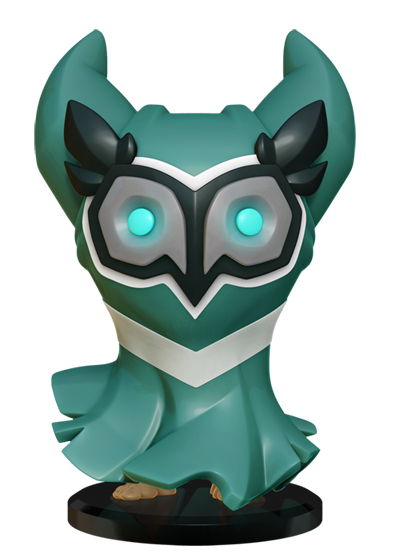 The figurines that have already been unlocked in your accounts will be transferred to the new version. We have also started updating AWER, our faithful tournament management software, so that it can better meet your expectations by simplifying organization and automatically updating online rankings. Finally, the official site, which is currently heavily focused on the online game, will be overhauled to provide resources that better meet the needs of board game players (rules, cards, consumer product information and stores, etc.). Don't worry. I couldn't close this long (sorry) message without saying a few words about what's coming next year. We'll start with the release of Boufbowl at the Cannes Games Festival where the next (and last, if you've been paying attention!) Krosmaster French Championship will be held. Finally, we'll end the year with a new game box titled Krosmaster Blast that will be released at the games festival in Essen. But I won't say anything more about that yet – shhh! Essen is also where the next Krosmaster world championship will be held, ending the 2017-2018 season! See you soon, and have a very wonderful 2018! Mint and Lemon Jellies are common, playable twice per team. If you have the playset, you will have the two required jellies to summon. The other two, which are rare, have a limit of 1 summon. Besides, the cardboard tokens are given inside the blindbox in case you need a second one. They are continuing the wakfu show? Yes! now this is the kind of good news that I and all of the krosmoz can use. Given it's clear that Australia is no longer supported for tournaments (competition or leisure), will any of the promo tokens ever be made commercially available? I've really enjoyed being able to pick up the 3D terrain and summon tokens for previous seasons, but seems from Season 4 onwards they are now impossible to get unless you can get to tournaments - which without any distributers carrying Krosmaster to Australia means we can't get hold of any tournament kits, which means we can't run any tournaments. I was fine to drop back to being a private collector, with the tournament scene gone, but it seems even that isn't possible at the moment. The Mint and Lemon Jelly Kings come with ONE 3D Jelly Mob token. But....it can summon 2 of them. So is there a means by which I can purchase more Jelly Mob tokens without having to open random packs to try to pull duplicates of each King so I can get a second 3D Mob token? Super cool, but what's going on with the digital version? 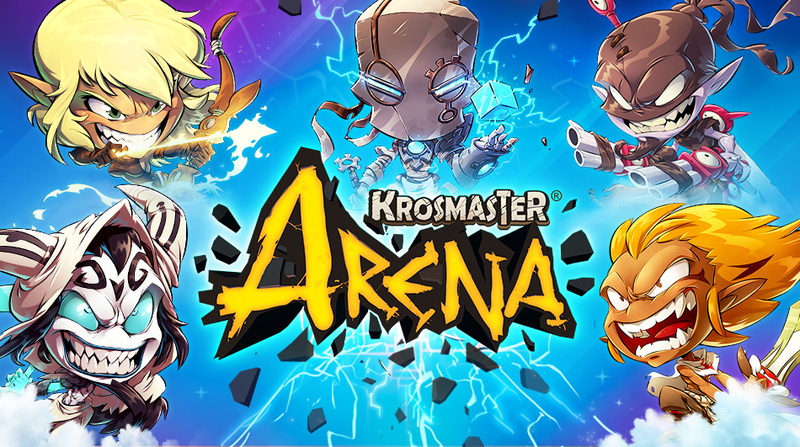 As it is written in the article: currently, we're working a new way of playing Krosmaster online, shifting away from the 3D version that we have used. We will have infos to share about it once development is more advanced. Gads .... So If I play 2 Mint Or Lemmon Jelly Kings then I'd need 4 of each mob token. So then I'd need to buy two more of each and throw away the kings just to get the mobs to have the appropriate number. So I recognized I could do that initially, I was hoping that maybe a blister pack is in the future like the ability to now pickup Tofu blisters is. Oh and what about Crowbaks? 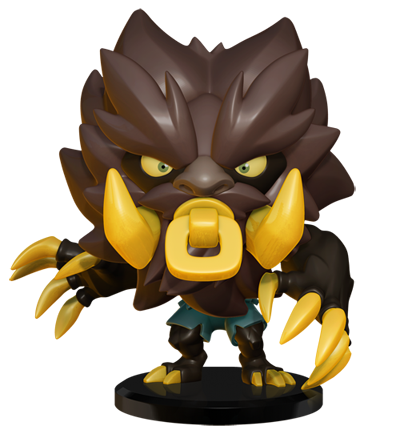 I need like 3 of them and they appeared to be very limited as in one per OP kit ..... any way to get more of those in the future? BTW, I do appreciate that they are packing the Jelly mobs with the Kings. I'd just like to see the right numbers of each, or a way to get the right number. That they are commons does help, but still not ideal. You may need to dust off your knowledge of the rules! Since more than a year (as explained in details here), the summoned minions now have a a limit per team, as opposed to per character. So if you want to play two Mint Jellies, you'll have two jelly summons, and that's just enough for the game. Oh and DeWitt, I'm assuming you have better access to information than me or the average reader. Can you give us any idea on when English OVA and Eternal packs might be coming out? (My distributor did finally get season 5 and my order should be to me any day for that....so I'm excited about that.) , but still no word on OVA and Eternals. It should be arriving very soon; as soon as I have info I'll relay them on these forums. -Foosninja- Today - 07:08:45(My distributor did finally get season 5 and my order should be to me any day for that....so I'm excited about that.). @Dewit, I’m very excited about the changes to the digital game. I always preferred the old style that actually looked like the board and figures. And if the new 3D stuff was costing you more or causing delays, all the more reason to kick it to the curb. Thank you for the updates, very exciting! This sounds like a change for the better. From a development standpoint the old style had to be cheaper to make. No 3D models just 2d model scans, card pics with all the relavent info, no animations, figures moved like pieces on a board and some coding to make the spells work as intended. Hope this works out, I always preferred the old 2d, looks like a board game aesthetic anyways. I do hope it will still get iOS support though. Playing on the ipad has proven way more accessible in the past. BlueTornado, I ordered them from Miniature Market. My stuff arrived a couple days ago. It's "okay". All the non-Jelly figures are nice. The Jelly figures seem....."cheap". I'm not unhappy with the set. I think there are many OP figures. (I'm a pretty outspoken proponent of "They need to do a lot better job of balancing the figures." They seemed to balance the season 3 stuff pretty well, season four creeped a bit more toward OP, and season 5 seems to be back to full on OP. But I've not played them a lot, I might be wrong, but just on initial inspection, it looks OP. (though maybe not as bad as season 2. But close. I can't wait for you guys to get the online community updated and onto Android. I don't live anywhere near any shops to play tournaments. Dewit - Yes I wasn't thinking about the new summoning limits rule, you're right I'd only need 1 each of the rares, and 2 each of the commons. But, Emperor Jellix appears to have the ability to summon 3 Jellies of any color? So, he would necessitate having 3 Jellies of each color (Including the Rare ones). And I'm back to needing (well wanting really) more Jellies. If sold in a blister, separately, I'd buy them. The kings and their respective summons seem to be produced and packaged together on a 1:1 ratio. It's reasonable to assume they're cast on the same plastic injection mold. Therefore, I wouldn't hold my breath for a separate production run of jellies, knowing that plastic injection molds are, like, super expensive (think 5, sometimes 6 digits for the most intricate ones). "We've decided that the new prize packages during shop tournaments will not discriminate winnings based on the player's ranking at the end of the tournament. That will mean two things in the future: kits that have limited content (only two different elements at most to be won in two different tournaments) and in exchange new kits more often so that things don't get boring." "We have also started updating AWER, our faithful tournament management software, so that it can better meet your expectations by simplifying organization and automatically updating online rankings." "Finally, the official site, which is currently heavily focused on the online game, will be overhauled to provide resources that better meet the needs of board game players (rules, cards, consumer product information and stores, etc.)."